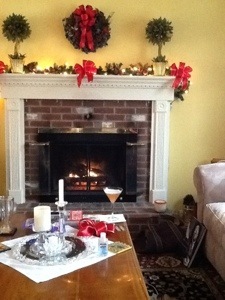 My warm holiday wishes come from my fireplace-adjacent seat as I type away on my new iPad, which was my BIG gift this year. I hope you’ve had a wonderful holiday and get to spend time with your family and friends. For all you iPad experts – what apps do you recommend? Leave a comment below.